Unscripted Learning is a unique set of programs that uses improv comedy in an educational setting. Developed in conjunction with the National Comedy Theatre, Unscripted Learning uses improvisational theatre to teach the concepts of teamwork, leadership, and creative problem solving as well as teaching improv skills and theory. Our team has decades of experience working with students and adults, and has taught thousands of individuals from all backgrounds. 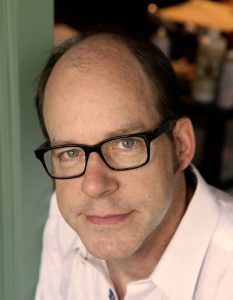 Gary Kramer is a producer, director and actor and is the Artistic Director and founder of the National Comedy Theatre. His production of the National Comedy Theatre is currently the longest running show in San Diego history, with over 5000 performances since opening in 1999. In addition to the San Diego production, Gary also directed the New York company of the show and has taught extensively for over 25 years. He has participated in countless shows across the country as well as internationally through 4 USO tours, where he performed in places such as Iraq, Kuwait, Germany, Greece, Italy, Spain and Belgium. As a performer, Gary has also appeared on television, film, commercials and radio and earned a BFA degree from Emerson College in Boston. Gary also currently serves as Executive Director and Vice President of the Board of the San Diego Performing Arts League. 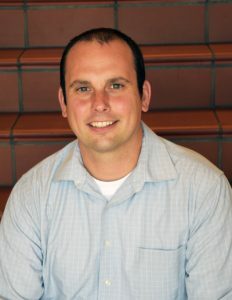 Richie Ploesch, M.A., BCBA has been working in the field of special education for over 10 years. His specialty is educating students and young adults with Autism Spectrum Disorder. He earned his teaching credential in 2006, a Masters Degree in 2008, and became a Board Certified Behavior Analyst in 2009. Since then, he has not only taught special education classes but also has taught as an adjunct professor, consulted with family members internationally, and provided in home behavioral therapy to improve social skills and increase independence. Josh Hermsmeier earned his B.A. in History from Point Loma Nazarene University in 2000 and his M.A. from San Diego State University in 2002. 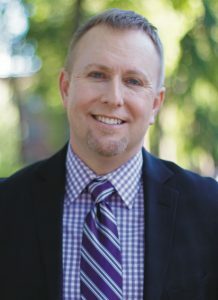 In 2014, his passion for teaching and learning from students with disabilities led him back to PLNU where he earned his multiple subject, mild/moderate, and moderate/severe teaching credentials as well as his adapted physical education authorization and a M.A. in Special Education. He has experience teaching students ages 3 years old through college. Josh currently works as an adapted physical education teacher and musician. Sue Faber has been a practicing speech-language pathologist in San Diego for 17 years. She received her bachelor’s degree in Child Development and her Masters in Communicative Disorders: Speech-Language Pathology from San Diego State University. She has worked with children ages 3-early adulthood. Her areas of passion and specialty include assessment and therapy with children on the autism spectrum and individuals with traumatic brain injury. Sue currently works as part of a preschool assessment transdisciplinary team. 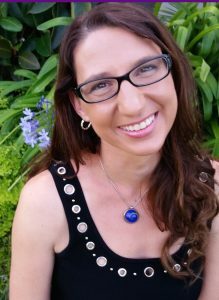 Katherine Paszek is a practicing Registered Behavior Technician in San Diego providing clinic, in home and school based behavioral therapy. She received her bachelor’s degree in Psychology at Syracuse University. 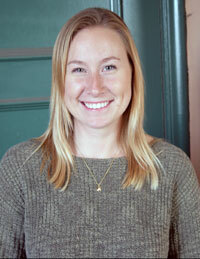 In addition to being a behavioral therapist Katherine is a research assistant at the San Diego State University Center for Autism and Developmental Disorders. She is the project coordinator for an ongoing research project which is analyzing the effects and outcomes of the Connections program in improving social interaction skills in teens with autism spectrum disorders. 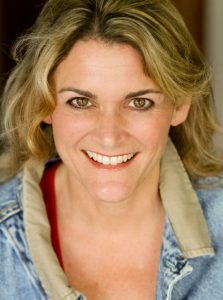 During her time at Syracuse University she was a part of an Improv Comedy group that performed throughout New York State. She has a passion for autism research and intervention. Steve Hohman is the Managing Director of The National Comedy Theatre, which produces unscripted clean comedy shows and is San Diego’s longest running theatrical performance as it enters its 20th season. 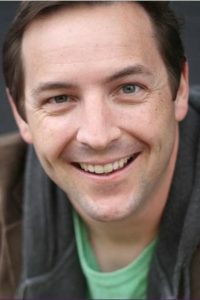 He has been a part of the Mainstage cast and the lead teaching artist for the Teen program for over 7 years. 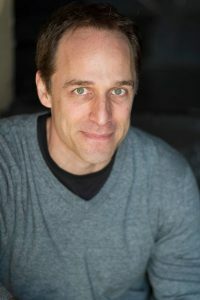 He has worked extensively with such prestigious theaters and organizations such as The Old Globe (San Diego), The Segerstrom Center for the Arts (Costa Mesa), The Roger Dodd Trial Clinic, All the Arts for All the Kids (Fullerton), Fox Mountain Adventures (San Diego) and Playwrights Project (San Diego) as a teaching artist, special instructor and administrator. Caitlyn McTaggart, a native of San Diego, earned her B.A. in Communication and Professional Writing from the University of California, Santa Barbara and her M.A. in Nonprofit Leadership and Management from the University of San Diego. Caitlyn has over thirteen years of experience in nonprofit management, primarily in fundraising, accounting, strategic planning and board development. 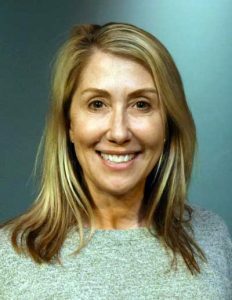 She has raised millions of dollars for various nonprofit organizations, including Autism Tree Project Foundation, the San Diego RiteCare Childhood Language Center, Scripps Ranch Theatre, the YWCA of San Diego, the Magdalena Ecke Family YMCA, the San Diego Hunger Coalition and the Rotary Club and Foundation of Honolulu. 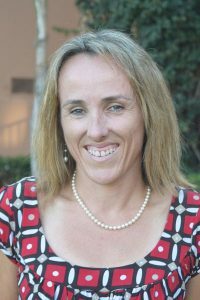 Caitlyn also founded Girls on the Run of Hawaii in 2012 and helped establish the chapter of Young Nonprofit Professionals Network here in San Diego in 2008. With a 20 year history in San Diego in non profit Public Relations and Communications, Susan’s focus is working with organizations in advancing and messaging their missions and increasing special event and production attendance. Susan works with clients in areas ranging from strategic planning to grassroots outreach and media relations. Her goal is to find the heart of her clients’ mission – and share that throughout the community via press relations and community outreach. Clients include The San Diego Film Foundation, ABC Youth Foundation, Save Starlight, National Comedy Theatre, Scripps Ranch Theatre, Cygnet Theatre, Oceanside Theatre Company, Write Out Loud, San Diego Junior Theatre, Welk Resort Theatre, Splitworld Pictures, CITY Opera and Unscripted Learning. Andreea Borcea has spent the last 10+ years modernizing web sites, directing digital marketing strategy and developing digital tools to improve business performance for start-ups through global conglomerates. Andreea has built a career finding or creating effective solutions to unique and common problems empowering companies to self-manage as technology continues to evolve and change the business landscape. Through her digital marketing efforts, she has built a genuine social media following for her clients and optimized paid digital media spend. She has a Bachelors of Business Administration in Marketing and a Bachelors of Science in Economics. She has a passion for cutting edge technology and discusses it with her co-host on Farstuff: The Internet of Things podcast. Dave is a Los Angeles based artist and character designer who has used sculpture, illustration and animation to fuse his primary passions: fine art and the world of pop entertainment. In the past 20 years he has designed characters and worlds for such companies as Kid’s WB, Disney, Fox Kids Network, Wild Brain, and The Jim Henson Company to name a few. In the last decade Dave has shifted his focus to the universe of TV animation, where he has co-created and designed for the Emmy Nominated “Robot And Monster” for Nickelodeon. Dave is currently working at Dreamworks TV Animation, and has just illustrated his first picture book for kids, “Back To School With Bigfoot,” published by Scholastic. He is busy at work preparing for an exhibition with the Lancaster Museum of Art and History in 2018. 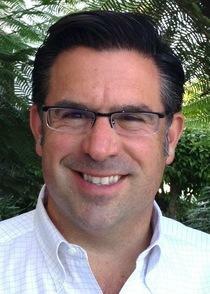 Cliff is a Managing Partner and Co-Founder of the Simplexity Ventures. Previously, Cliff served for six years as the Co-Founder and CEO of Zui.com (the leading search engine and web browser for children) until its sale to Saban Capital. For his work at Zui, Cliff was named a White House Champion of Change. 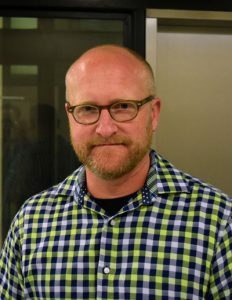 Prior to Zui.com, Cliff was the Managing Partner of CVT Ventures, a venture-development company that was dedicated to helping entrepreneurs form and accelerate their businesses. On behalf of CVT, Cliff was the founding Chairman of Say Media, the founding Chairman of mSnap (sold to MarketTron). Cliff is also the former CEO and Co-Founder of Infogate until its sale to AOL Time Warner. Cliff began his career working in the hedge fund industry and worked at both Steinhardt Partners and Soros Fund Management. Cliff is on the Board of Temple Beth El in La Jolla and also serves as a member of the Board of the San Diego Performing Arts League. Jonah Weinberg brings nearly two decades of leadership experience with nonprofit and public sector organizations across the US, and internationally, with experience working across a range of issues and sectors, including disability, economic development, social service & public health, disadvantaged & minority communities, and philanthropy. He is an experienced public speaker, who is fluent in both English and Spanish, and has facilitated numerous public and technical programs, and have worked extensively with clients focused on the Latino community in the US, as well as organizations in Latin America and Europe. Jonah is also the past Executive Director of the Autism Society of Minneapolis.